There’s a lot of confusion and weirdness when it comes to copyrights and trademarks. Are fonts copyrighted? Can I make a logo with a font and then trademark it? What quotes are OK to use on merchandise I want to sell? I tackle all of those things and more over at FontBundles in my blog post about copyrights and trademarks, with the information (as usual) geared toward the designers, crafters, and others who are heavy users of fonts. 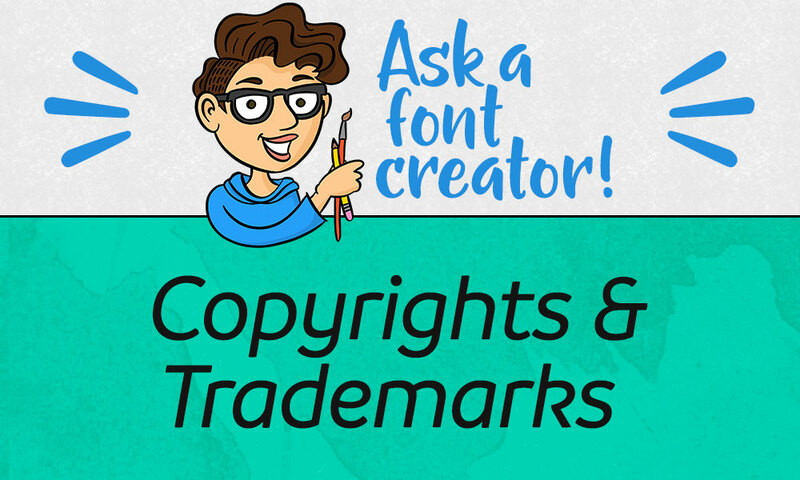 Check out “Ask a Font Creator: Copyrights & Trademarks” over at the FontBundles blog! « Ask a Font Creator: How Do I Pair Fonts?